NOTE: As the CDME is a credential program, an approved CDME Application is REQUIRED prior to registering for any courses. Please allow 30 days for the application to be processed. For more information, visit the website. Recognized by the DMO industry as its highest educational achievement, CDME is an executive-level program for experienced DMO professionals seeking advanced professional development. The focus of the program is on strategic vision, leadership, DMO performance, community stakeholder management as well as marketing and product development best practices. As the CDME is a credential program, an approved CDME Application is REQUIRED prior to registering for any courses. Please allow 30 days for the application to be processed. For more information, visit the website. If you have an active application, log in first. Click on Register Now to proceed. Select the $0.00 ticket and continue to register yourself. Scroll through the days on the schedule and click Add to include it in your purchase. 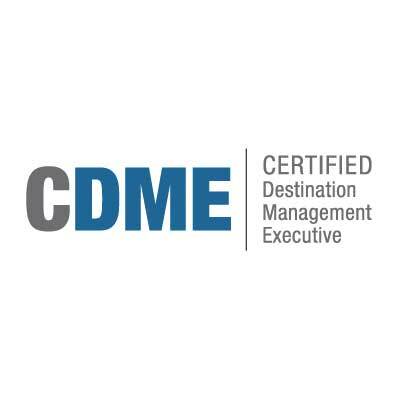 All CDME applicants should have a Destinations International account. If you need to reset your password, click here. For additional questions, please contact us at support@destinationsinternational.org. We are pleased to offer a discounted hotel rate of $289 at the Marriott Marquis. To book, edit or cancel your hotel reservation, please click here. In order to receive the block rate, all reservations must be made by the cut off date of January 18, 2019. No active schedule items for specified event or you do not have permission to access them. Would you like to add guests?